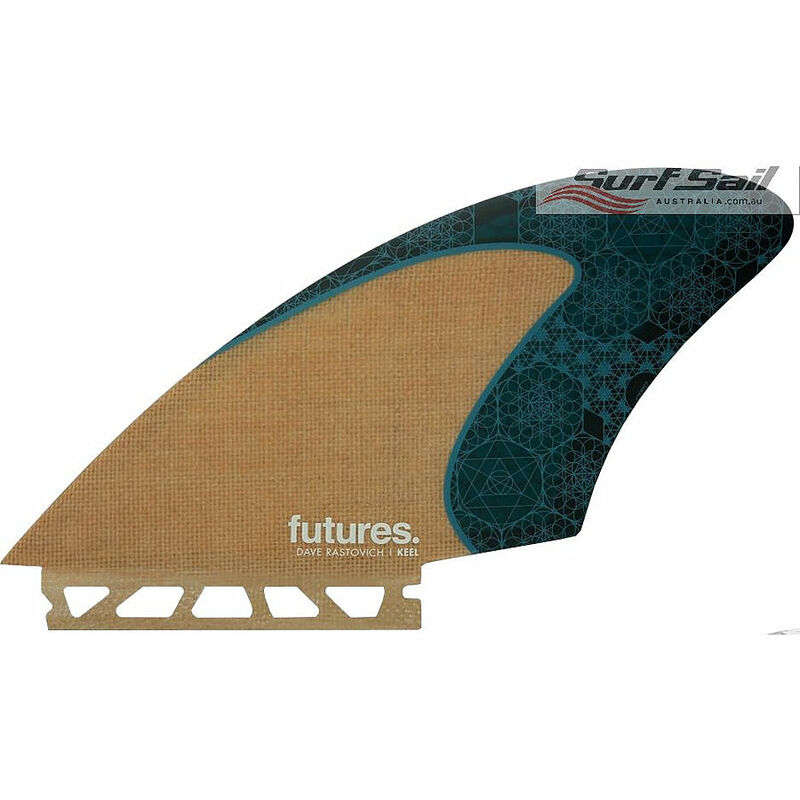 4	stars -	"Review for Futures Rasta HC Jute Teal Keel Fin Set" Mark Taylor This Futures Rasta HC Jute Teal Keel Fin Set is the best Fins Quad,Twin, 5 Fin I have tried. About Honeycomb - Lightweight foam hex-core glass fin has the look and feel of a glass fin. Engineered with a medium flex pattern. Great fin for all conditions. Vector Foil - For increased speed and thrust - A unique, patented Vector foil creates lift in the same way an airplane wing does. Curved on both sides, as opposed to a traditional foil with a flat inner face. The extra lift creates projection and increases speed through turns. This dual-curved foil reduces turbulence and increases water attachment which also increases drive and speed.